“Blame it on Bertie”: Published in ANDROMEDA SPACEWAYS IN-FLIGHT MAGAZINE #63, April 2016. 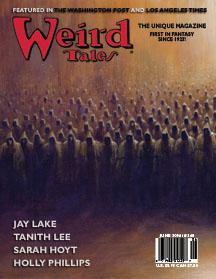 “Thirty Minutes for New Hell”: Published in Aurealis #48, March 2012. “Anningley Hall, Early Morning”: (short story) The Ghosts & Scholars Book of Shadows, Sarob Press, 2012. “Out of the Storm”: During the Second World War, a bomb-damaged minesweeper, HMAS Barrinji, is found drifting abandoned in the middle of the Indian Ocean. As a salvage crew sail her back to Australia, a spectral atmosphere begins to manifest aboard the little ship. 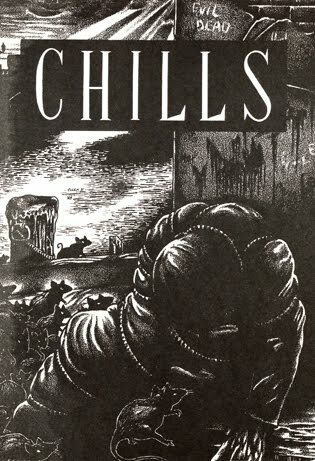 Published in Chills #6, 1992, Terror Australis: The Best of Australian Horror (Hodder & Stoughton), 1993, 13 (Jacobyte Books), 2001, and (4th printing) Dunesteef Audio Fiction Magazine, March20011. 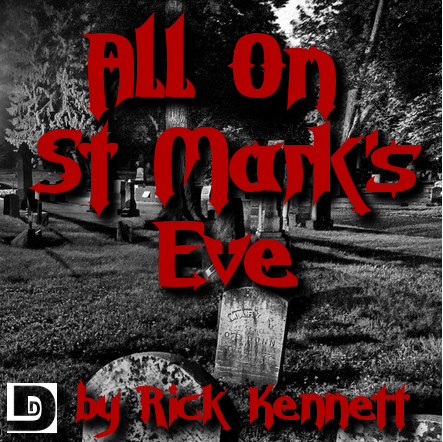 “All On St. Mark’s Eve” (short story) DUNESTEEF AUDIO FICTION MAGAZINE (web audio) June 2010. 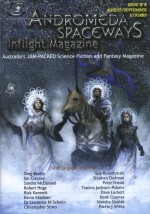 “The Dark and What It Said”; Andromeda Spaceways In-Flight Magazine #28, 2007; Year’s Best Australian SF & Fantasy #4, MirrorDanse Books, 2008; The Writing Show “Ghast Fest,” web audio, October 2008;Australian Dark Fantasy & Horror #3, Brimstone Press, 2009; and Andromeda Spaceways Inflight Magazine Best Of Horror Volume 2, 2010. “Due West”: Set in 1935. A retired history teacher, Arthur Lewisham, has retreated to the Queensland outback to write a book on the Gallipoli Campaign of the First World War. Unknown to him, his house has been built on the site of a ritual triple murder committed 37 years before, and where a commonplace action one day re-awakens dormant magic. 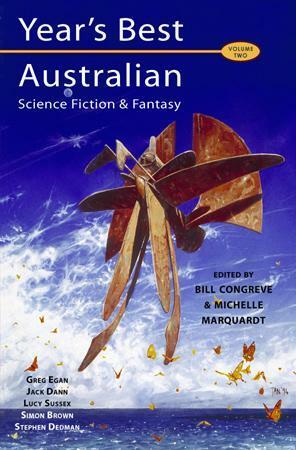 Published in Eidolon #25/26, ’97, Year’s Best Australian SF & Fantasy #2 (Harper/Collins) ’98, Year’s Best Fantasy & Horror #12 (St Martin’s) ’99, 13 (Jacobyte Books), 2001, and Macabre (Brimestone Press) 2010. “Isle of the Dancing Dead”: A young grave digger determines to disprove a legendary curse on a wealthy family’s mausoleum. Published in The Fifth Book of After Midnight Stories (Robert Hale), 1991; Get It Together #3 (CWK Gleerups Centrum AB) 1998 ; Cemetery Sonata, (Chameleon Publishing) 1999; Orb #0, 1999; 13 (Jacobyte Books), 2001; Voices in the Dark (web audio) 2006; and Orb Speculative Fiction– Greatest Hits(Orb Productions) 2010. “Time in a Rice Bowl”: Ernie’s ten-year-old niece Christine has turned into an ancient Chinaman and disappeared into the ghost of a house long since demolished. After a rice bowl full of water that take no notice of time is found in her bedroom, an evil rag-face spirit begins to intrude into the search for her. Published in The Reluctant Ghost Hunter (Haunted Library), 1991, 13 (Jacobyte Books), 2001, and Andromeda Spaceways In-Flught Magazine, #11, April 2004; Dunesteef Audio Fiction Magazine, web audio, August 2009. “Burnt”: Short story, Aurealis #42, 2009. 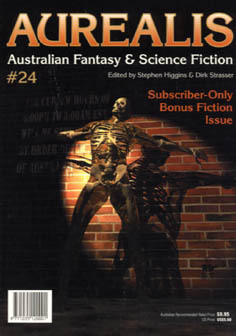 “Bummed”: Short story, Antipodean SF #125, Oct 2008. 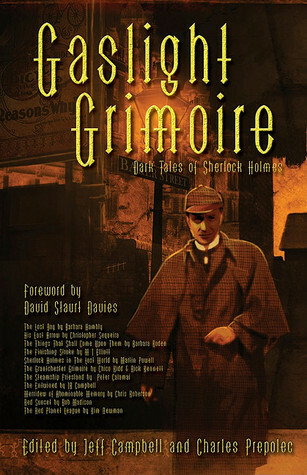 “The Grantchester Grimoire”: Short story with Chico Kidd, Gaslight Grimoire, Edge, 2008. “Lobster”: Short story, Black Box, Brimstone Press, 2008. “The Seas of Castle Hill Road”: While staying with his friend Sonja Vanhoeven in Queensland, Ernie hears the sound of the sea surging through the windows of her house at night, despite being 40 kilometres from the coast. 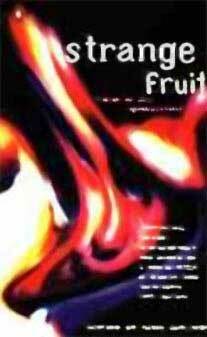 Published in Eidolon #9, 1992, Strange Fruit (Penguin), 1995, Enigmatic Tales #9, 2000, and 13 (Jacobyte Books), 2001; Dunesteef Audio Fiction Magazine, web audio, November 2008. “Now Cydonia”; ORB #7, 2007. “Chinese Whispers”: An ordinary party game uncovers some dark secrets during a night out with a dining club. Agog #1 (Agog Press), 2002; Weird Tales #340, May-June 2006; Ghast Fest (web audio) Oct 2007. 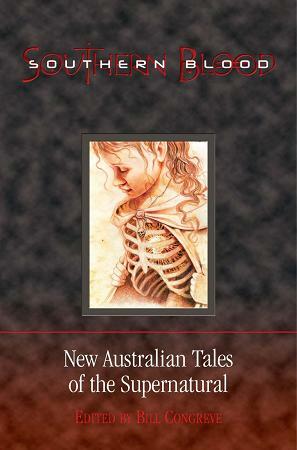 “The Cross Talk”: Acquainted with the Night (Ash Tree Press), 2004; Antipodean SF #100, September 2006. “The Roads of Donnington”: While visiting country cousins in Donnington who know of his interest in the occult, Ernie is asked to investigate the case of a ghostly motorcyclist haunting the town. Ernie takes off along the roads of Donnington on the very bike the dead man rides. 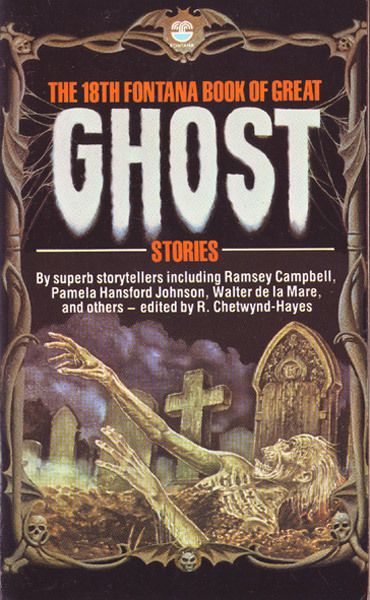 Published in The 20th Fontana Book of Great Ghost Stories (Fontana), 1984; Tales to Freeze the Blood: More Great Ghost Stories (Carroll & Graf), 2006. “Presumed Dead”: Novel excerpt, SF EnVision #1, Feb 2005. “Coming Home”: All Hallows #37, Feb 2005. Reprinted in Shadow Box, 2005. “The View from Stickney Crater”: The Utopia Plain is assigned to destroy a damaged troop ship before it can fall into enemy hands. However, Cy is physically unable to fire on it when she mentally hears the voice of an ex-boyfriend trapped aboard. Published in Aurealis #18, 1997, and 13 (Jacobyte Books), 2001; SF/F (Cyber Pulp), 2005. “Legends of Mars”: During her space schooling on Mars, 12 year old Cy De Gerch crash lands into a gigantic dust storm. Lost and with her re-breather unit broken, she finds help coming from an unexpected quarter. The Red Planet (Longman), 2002; Tales From Beyond (Harcourt), 2004. “The Outsider”: While on a motorcycle tour of England, Ernie is hit by the Earl of Woodthorpe’s Rolls Royce. Invited to stay at the manor while his bike is repaired, he comes to realize he’s being induced into investigating a haunting of long standing. 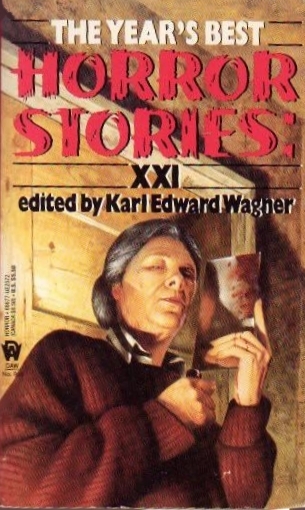 Published in Ghosts & Scholars #14, 1992, Year’s Best Horror Stories XXI (DAW), 1993, and 13 (Jacobyte Books), 2001; The Ghostbreakers: New Horrors (Cyber Pulp), 2003. “Cargo”: Who sampled the samplers? Andromeda Spaceways In-Flight Magazine #8, September 2003. “In Quinn’s Paddock” (novella): While on a motorbike trip into the Queensland countryside, Ernie and Sonja discover the still-living magic behind a hundred year old triple murder in an outback town. A sort of sequel to “Due West.” Published in the long-awaited anthology Southern Blood, 2003. “The Roaring Paddocks”: During his younger sea-faring days Carnacki helps an ex-shipmate investigate a roaring sound haunting his recently inherited Australian cattle station in outback Queensland. Published in 472 Cheyne Walk (Ash Tree Press), 2002. “The Silent Garden”: A ‘Carnacki the Ghost-Finder’ pastiche, based on the character created by Edwardian horror writer William Hope Hodgson. Carnacki is asked by a prominent botanist to investigate the peculiar silence haunting his garden of rare flowers. Published in 472 Cheyne Walk (Ghost Story Society), 1992, and 472 Cheyne Walk (Ash Tree Press), 2002. “The Keeper of the Minter Light” (novella): An acquaintance asks Carnacki to look into the mystery of a lighthouse-like folly which appears to be taking exception to being torn down. Published in 472 Cheyne Walk (Ash Tree Press), 2002. “The Steeple Monster”: Written with Chico Kidd. Carnacki investigates the bell tower of a rural church after the new steeple keeper inexplicably vanishes. Published in Aurealis #7, 1992; 472 Cheyne Walk (Ghost Story Society), 1992; Enigmatic Tales, March 1999; and 472 Cheyne Walk (Ash Tree Press), 2002. “The Last of Mr Benjimen”: When a passenger ship sinks after a collision in fog, the witnesses at the subsequent inquiry give conflicting evidence on the last moments of the mysterious Mr Benjimen. Published in Shadows & Silence, (Ash Tree Press) 2000, and Andromeda Spaceways Inflight Magazine #1, June 2002. “The Gnarly Ship”: Circa 1910, Carnacki takes a trip aboard a Royal Navy submarine haunted by monstrosities and followed by an incredibly weird vessel — either a warning or a sure sign of a great conflict looming in the future. Published in 472 Cheyne Walk (Ash Tree Press), 2002. “The Willcroft Inheritance”: Written with Paul Collins. Set in the mid-19th Century. A young wife, managing her husband’s estate during his long absences at sea, uses the rubble from a ruin on the grounds to repair susidence damage to the house. Unknown to her, a ghost whose appearance presages death has been brought in with the old rock. 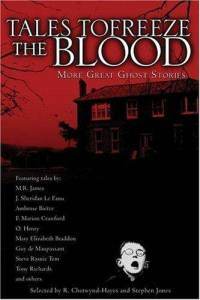 Published in Gothic Ghosts, Tor Books, 1997, and Stalking Midnight, Paul Collins collection, Cosmos Books, 2001. “Playback,” with Paul Collins, published as “Whispers”: A down and out music producer, desperate for a come-back, falls foul of his hated wife’s dabbling in recorded spirit voices. 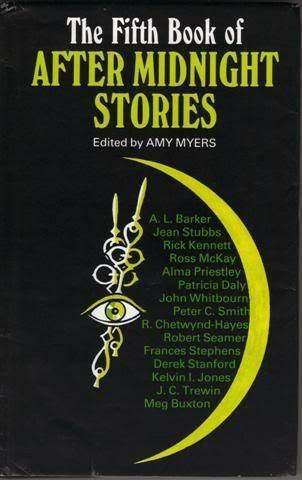 Published in Stalking Midnight, Paul Collins collection, Cosmos Books, 2001. “The Road to Utopia Plain”: After a freak occurrence in subspace as they return home to Mars, the crew of the Utopia Plain find all is not as it should be. The Captain’s wife has died in an epidemic that never was; and Cy’s lover, Jos Manxman, though killed in a training accident two years before, is alive and planning a hike into the Martian desert. 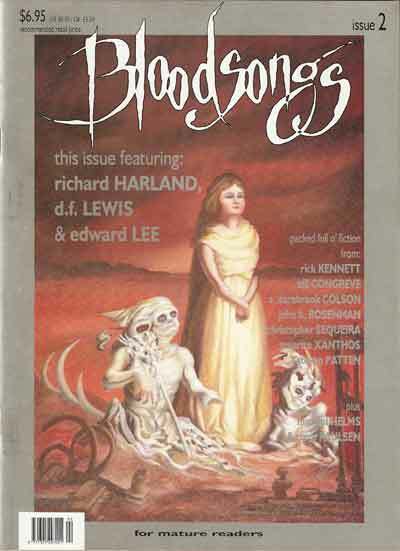 Published in Eidolon #15, 1994; Beyond #1, April/May 1995; Transversions #8/9, 1998; and 13(Jacobyte Books), 2001. “The Windows”: During the graveyard shift at public radio station 3LTD, a DJ watches through the studio window as a wannabe magician performs strange rites with oversized records labeled in Latin. But the more he watches, the more he sense all is not going well with the magic. Published in Ghosts & Scholars #13, 1991, EOD #9, 1994, Redsine #4, 2001, and 13 (Jacobyte Books), 2001. “Log Recording Found in a Dead Man’s Gut”: A starship, infested with gremlins causing mischief and sabotage, is seriously damaged by a meteor. The gremlins must work against their natures to save the ship and themselves. 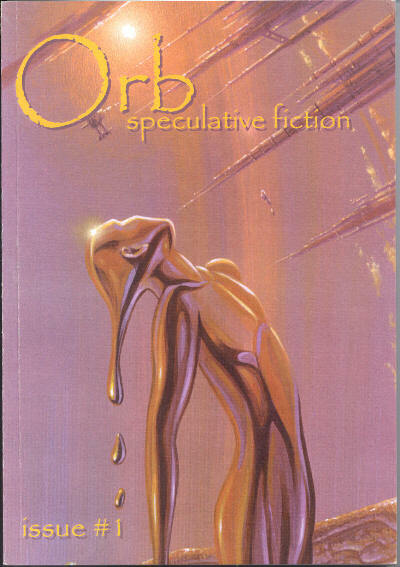 Published in Aurealis #4, 1991, Keene SF, Vol. 2, #1, 1997, and 13 (Jacobyte Books), 2001. “Kindred Spirits”: Two drifters are accidentally picked up with a slice of countryside by aliens. Unable to be returned, they are given jobs as rangers. When one dies, the other is asked to officiate at the burial in space. The dead man has other ideas. 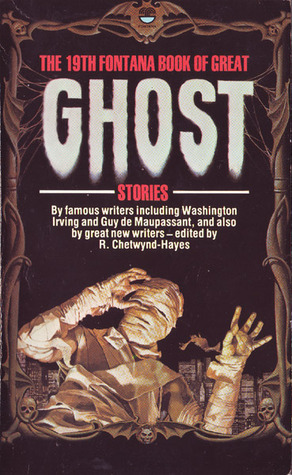 Published in The 18th Fontana Book of Great Ghost Stories (Fontana), 1982, and 13 (Jacobyte Books), 2001. “The Battle of Leila the Dog”: Cy De Gerch, the 17 year old executive officer of the Martian frigate Utopia Plain, is haunted by a spectral dog during a space battle. Published in Eidolon #5, 1991; Picatrix #1, 1992; The Lottery (Omnibus), 1994, reprinted in the U.S. as Altered Voices (Scholastic), 1999, and 13 (Jacobyte Books), 2001. “Bottle Green Dreams”: Owners of a junk shop discover that an old green bottle, bought with a job lot, has not only brought its own ghosts with it, but also brings to life a long-dead moment in the shop’s past. This short story is the basis for the novel Abracadabra. Published in All Hallows #8, 1995 and 13 (Jacobyte Books), 2001. “The Sniffling Room”: A ‘Carnacki’ parody in which Our Hero noses about a nasally haunted room, and certainly finds a lot to sneeze at. Published in The Goblin Muse, April 2000. “Timelines”: The U topia Plain encounters the Earth survey ship St Petersburg orbiting a supposedly lifeless planet. Aboard are a parrot and a new-born baby. Published in ORB #1, 2000. “Ace!”: A young killer, addicted to electronic games, is recruited by aliens as a pilot in an interstellar war. Note that this story was written and published some years before the similarly plotted 1984 movie The Last Star Fighter — and the special effects are much better in the story! Published in Enigma, December 1979; Linq, Vol. 11, #2, 1984 (revised version); Waves, #76, February-March 1986; Spin Outs, (Addison Wesley Longman) 1999. “They Wait”: Written with Barry Radburn. Gary Lafferty hates lifts, and lifts hate Gary Lafferty. Published in Linq, Vol. 13, #2, 1985; Antipipodean SF, March 1999. “Rookwood” (w/ Bryce Stevens): A chase story set in Sydney’s massive Rookwood Cemetery in 1898. An old man living in the wild scrub of the graveyard boasts of his powers as a magician. But is he a true sorcerer or a mere madman? Published in Aurealis #24, 1999. “Big Magic”: Extract of the Ernie Pine novel Abracadabra. With the best of intentions, Ernie breaks into an antiques shop late at night, but finds himself in the shop as it was in 1914. Later, he is pursued down the freeway by a giant hand. In a supermarket car park, he makes his stand against the hand, utilizing the contents of the supermarket’s dumpster. Published in Bloodsongs #2, 1994. “Dead Air”: While working at public radio station 3LTD, Ernie and radical feminist Polly Styrene encounter an evil magician intent on bringing beings of the Cthulu Mythos through a portal in the space occupied by the station. Published in EOD #6, 1992. “Alley Ghost”: Youngsters ask Ernie to “kill” a frog-eyed ghost haunting their backyards and lane. Published in Terror Australis #1, 1988; The Reluctant Ghost-Hunter (Haunted Library), 1991. “Approved to Scrap”: Two former enemies make up the salvage crew of an old destroyer, HMAS Defiant, as she’s being towed from Australia to Japan for scrapping. They slowly come to realize she is not going to go quietly. Set in the sixties and based on a molecule of fact. Published in Cygnus Chronicler, Vol. 5, #2, 1983; Winter Chills #4, 1990. “Strange Fruit”: Ernie holds a night vigil in a second hand bookshop haunted by poltergeist activity — or something worse. Published in Terror Australis #2, 1989, and Dark Dreams #8, 1990. “The Adventure of the Unearthly Spy”: A Sherlock Holmes pun story, featuring the great detective Sheerluck Groans and his assistant, Dr. Whatnott, who attend an inventions exhibition to smoke out an alien spying on Earthly technology. Published in Aphelion #5, 1986/’87 (50-word version); The Metaluna Sherlock Holmes Special, 1989 (full version). “Ep and the Aliens”: A drunken farm hand is kidnapped by aliens. Ends with an excruciatingly dreadful pun. Published in Metaluna #21, 1988. “Attack on the Line”: An ant’s view of being sprayed with insecticide. Published in Waves #77, April-May 1986. “Keeper”: Rabbit-like creatures on another planet worship a metallic image found years before. One day a stranger enters the community, declaring an historical interest in the statue. He and the statue, however, are not what they seem. Published in Arkham Sampler #9, June 1985. “The Necropolis Watch”: A cemetery’s night watchman becomes convinced a stately mausoleum is haunted. 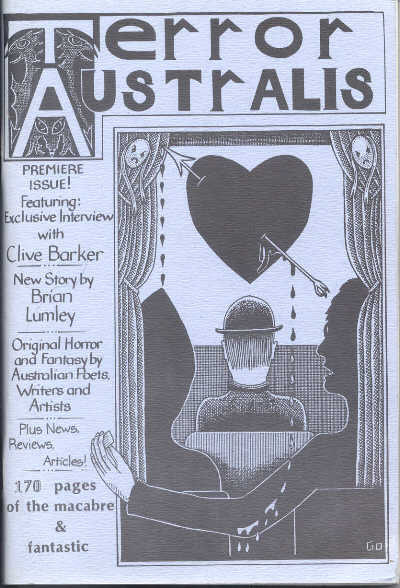 Published in Monbulk Magazine, June 1981, and Australian Horror & Fantasy Magazine #2, 1984. “Made in Hell”: An old magician, killed by his greedy nephew, uses the young man’s boyhood toys as instruments of vengeance. 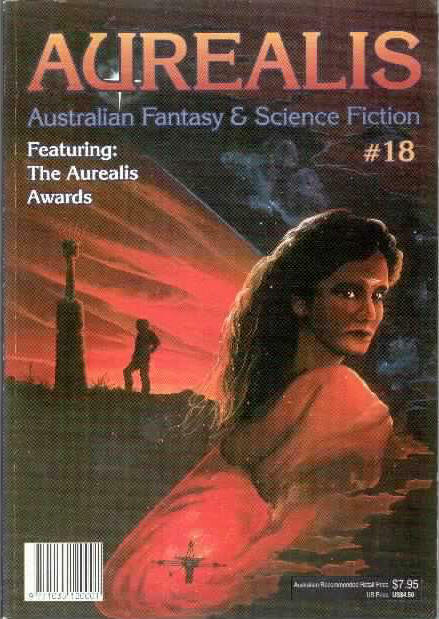 Published in Australian Horror & Fantasy Magazine #1, 1984. “On Sherman’s Planet”: Four engineers arrive on a desert planet to determine the cause of a spaceship crash that occurred there five years before. Published in Crux #5, 1984. “Drake’s Drum”: Set during the Second World War. The crew of a sinking destroyer are saved from under the guns of a Japanese cruiser by the intervention of a strange battleship. Based on an article from a 1924 newspaper. Published in The 19th Fontana Book of Great Ghost Stories (Fontana), 1983. “Young Sue Pregnant, Mr. Herbert Utterly Gay”: The owner of a boarding house speculates on her strange tenants and their equally strange behavior, and is irrevocably drawn to a frightening conclusion. Published in Linq,Vol. 8, #2, 1980. All look great, read “isle of the dancing dead” and loved it! Where did you find it? That’s my most reprinted story. It’s also included in a Swedish school text book for teaching English. As the two characters in “Isle of the Dancing Dead” are Australian and Scottish I sometimes wonder how Sven and Olga’s spoken English turned out sounding.